At least spacex can return cargo to earth !!! I have been receiving an email to advise when the International Space Station is overhead in our area (Queenstown NZ) but lately we have not received any information. Is the Space Station not going over our area at present? Could the ISS be much-modified and turned into a ship capable of carrying a crew to Mars? And do it in tandem (flying in formation) with a lander module to Visiting Mars? A major overhaul would be needed on the life-support systems, the water systems (urine, wash water etc. recycled into drinking water. My point is this, you have an amazing resource in orbit and I believe you have the making of a ship capable of long voyages. There is concern over the Crew suffering from, ‘Cabin Fever.’ I would suggest you take a look at Atomic Submarine Crews who spend a great deal of time underwater. Making use of Virtual Reality, very large screen TV with 3D showing Lakes, Mountains and all those things a shut-in would yearn for. The US Navy will have a great deal of data and research on this. All of my foregoing suggestions and all of the points I’ve missed will cost a lot less that if you built a brand new crew module from scratch. 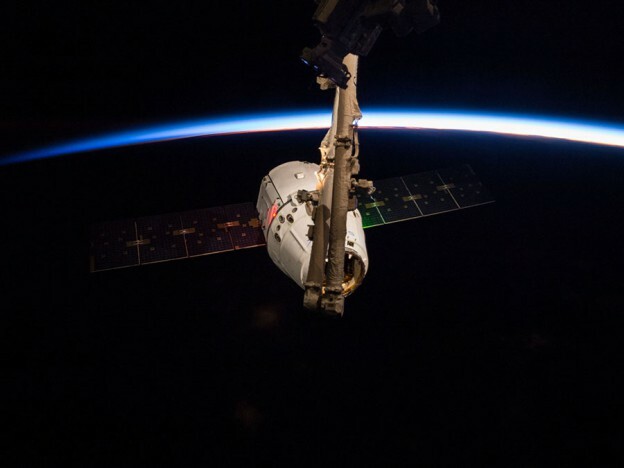 The module interconnects were not designed to sustain the kind of thrust necessary to accelerate from orbital velocity to escape velocity in a reasonable amount of time. The longer you spend performing that delta-V, the longer you have to feed and house the crew. Lots of proposals for using the same modular concept for building inter-planetary “motherships” to carry crew and landers back and forth. you guys are awosome. keep up the great work. i want to work with NASA. WISH ALL ASTRONAUTS WORKING THERE GET A GOOD WORK . HAPPY NEW YEAR . P . S . TI IS REALLY VERY EXCITING . have a try it NASA.